Yes, I would like to enter the monthly giveaway. 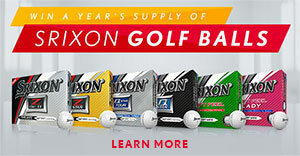 Each winner will receive six (6) dozen Srixon golf balls for their choice. Winners will be selected on or about the 7th day following each Giveaway Period from all eligible entries.